Light, bright, open and airy best describes this beautiful home in the peaceful neighborhood of Columbia Lakes! 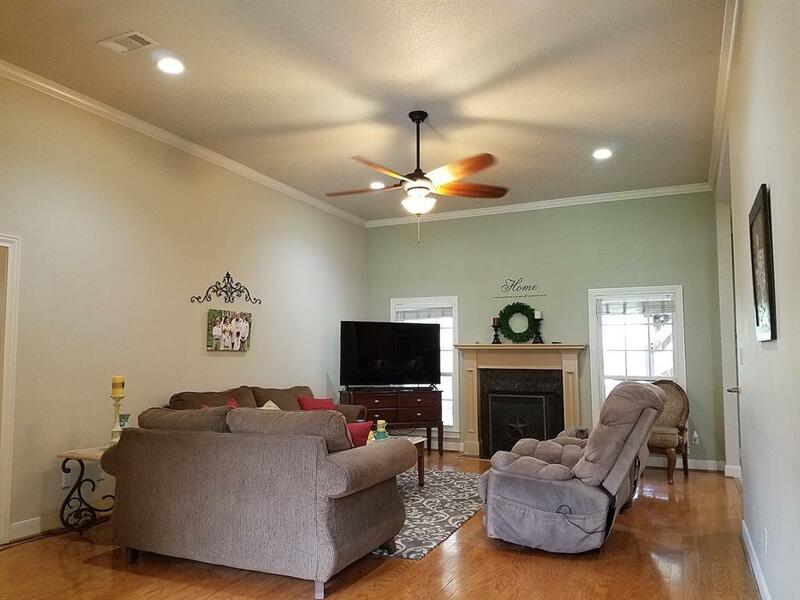 Your forever home features high ceilings, crown molding, a gas fireplace, dedicated office, recessed lighting, 72" ceiling fan in the living room and 60" ceiling fan in the master bedroom. 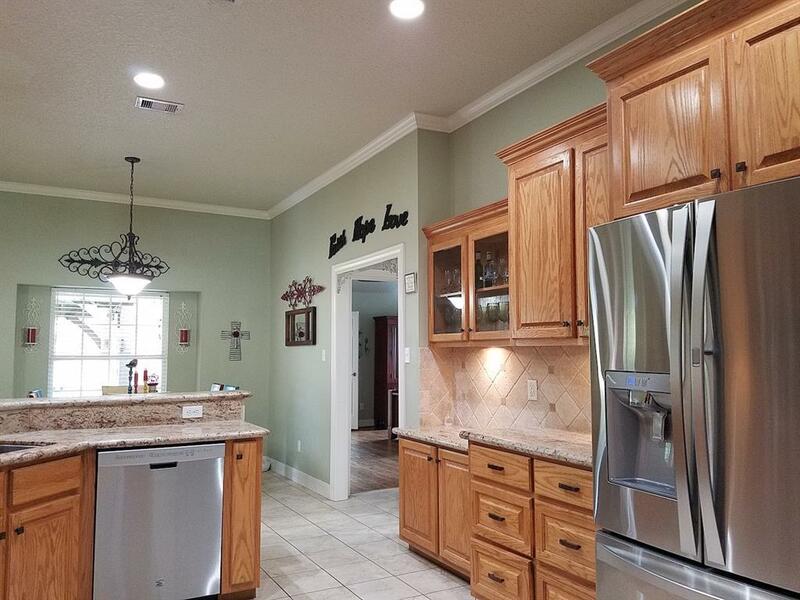 The kitchen boasts granite counter tops, stainless steel appliances (refrigerator stays), with a 5 burner gas cooktop, convection microwave AND convection oven. You'll have your choice of two eating areas: the breakfast nook or the formal dining room. 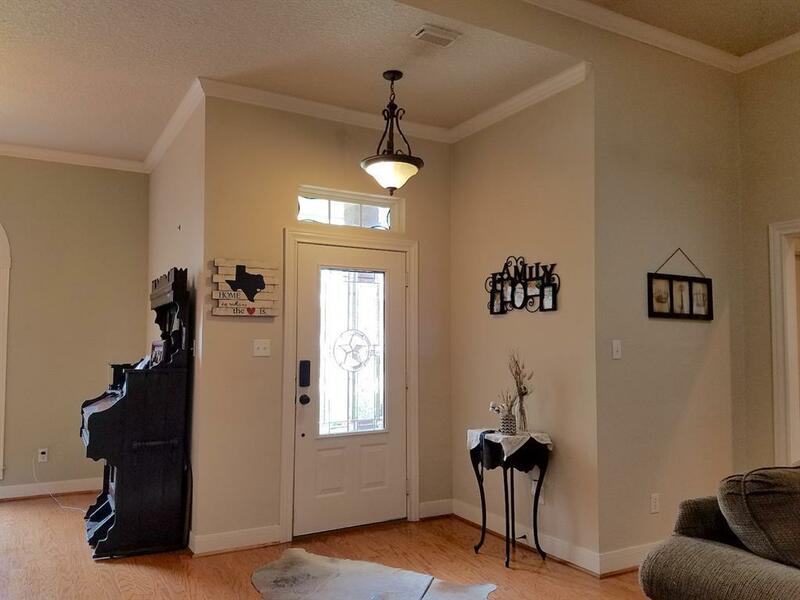 The master bedroom is very spacious and has a door leading to the back patio. The master bath has his and her's closets, a newly tiled shower and beautiful, new tile surround on the jetted bathtub. 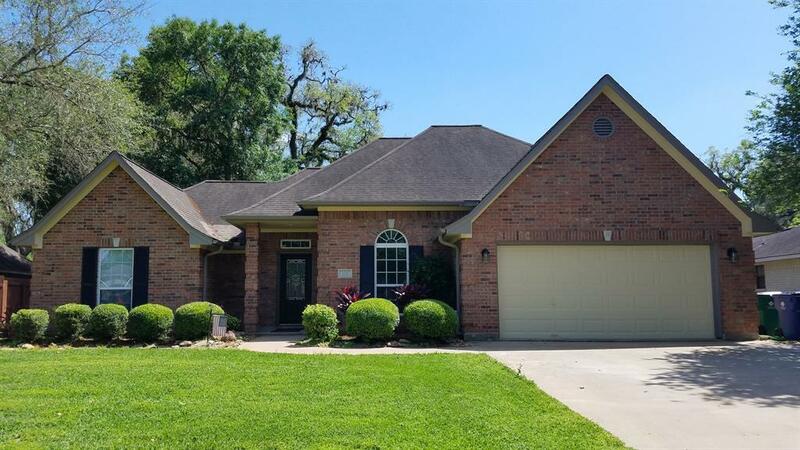 The backyard has one of the most beautiful, mature Oak Trees you will ever see and the back cement patio is quite spacious with a large covered area. The backyard has been cross-fenced to separate the patio area from the backyard.